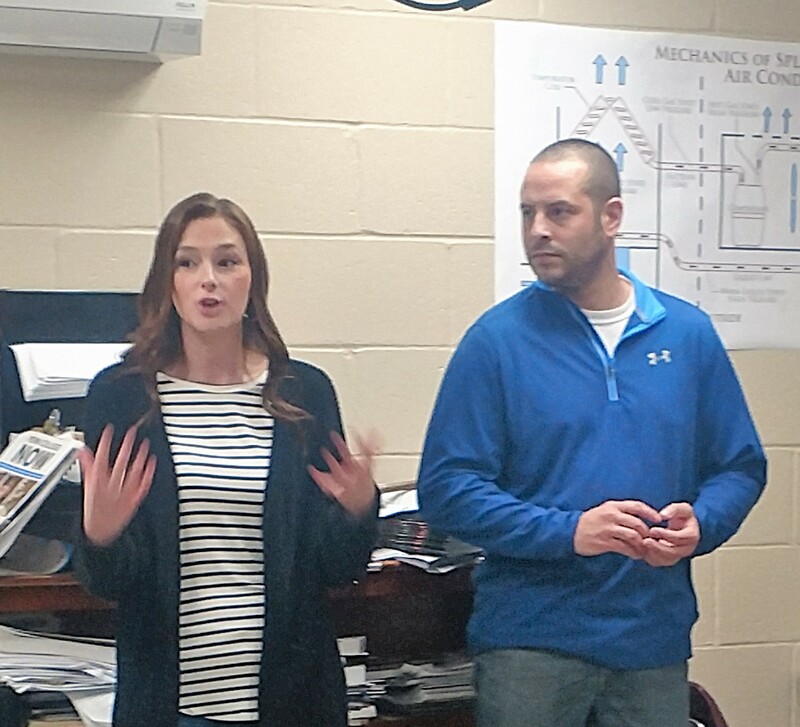 Two representatives from JJ Powell Inc. recently visited the Clearfield County Career and Technology Center’s Heating, Ventilation, Air Conditioning and Refrigeration program to explain the business and benefits they offer to employees. They explained the duties of a service technician and also the apprenticeships they offer to willing candidates. The representatives are looking to schedule a field trip so the students can see the jobs in progress. To learn more about the HVAC/R program visit us at www.ccctc.edu.